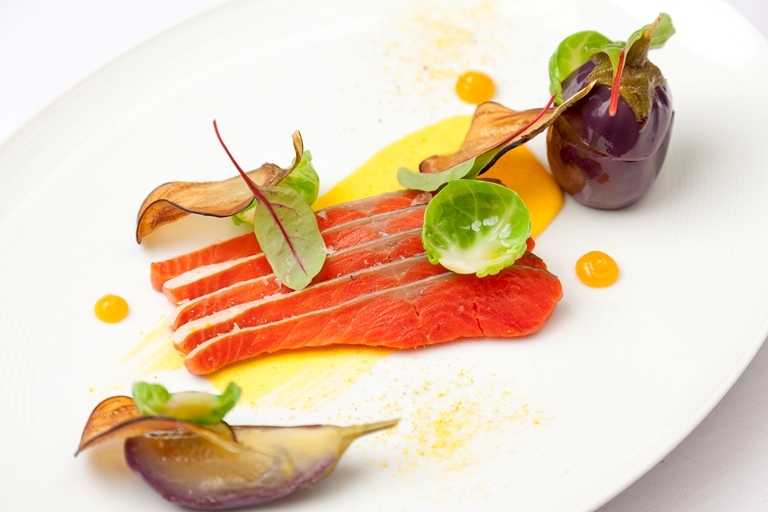 Daniel Galmiche's colourful salmon with kumquat recipe is full of well-executed, dainty elements, from the baby aubergine crisps to a tart kumquat gel. For a more rustic finish, you can leave the kumquats in halves rather than blend them into a gel. Similarly, feel free to poach the salmon in a light stock if you don't have sous vide equipment.